We’re having a photo contest “All About Ontario Strawberries”. If you take some fun strawberry photos this week-end at the Stouffville Strawberry Festival or at Reesor Farm Market’s strawberry patch in Markham please post them on our Reesor’s Market & Bakery FB page. You might win our delectable Strawberry Social prize package. Two of Jay’s sisters recently got together in Calgary and came up with this delicious salad. The more strawberries and black pepper the better they say! Combine all the dressing ingredients, except for the oil, in a bowl. Pour the oil in a steady stream while whisking the other dressing ingredients to incorporate the oil into the dressing. Place the spinach in a large salad bowl. Pour the dressing over the spinach and toss the salad. Place the other ingredients over the top of the salad and toss gently. Serve immediately. 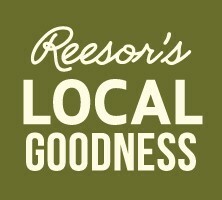 Reesor’s Market & Bakery now has Ontario strawberries fresh from the fields to you. 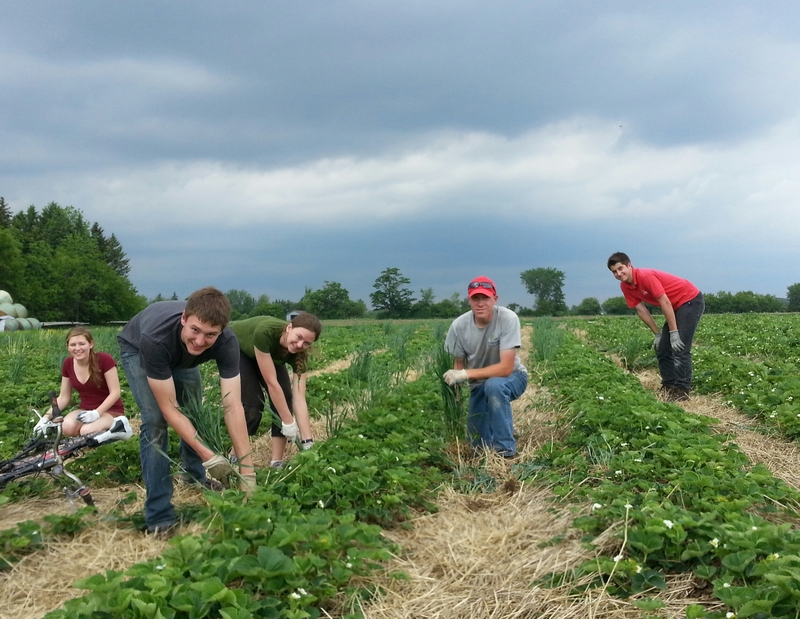 We’ll have strawberries grown at Reesor Farm in Stouffville, Ontario starting about June 15.